My project work is volunteering to play and accompany the choir at my church. I aim to provide the finest quality of work and help, as well as sharing with others the gift and love of music. I plan on being a positive impact and example to those I work with. I plan to use my skills and knowledge in music and playing piano to help others learn & perform music through the finest quality. I have to be dependable, organized, positive, and prepared. I hope to encourage others with music and be a role model to those around me. 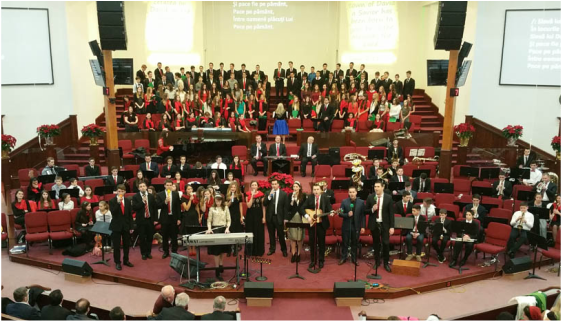 The main choir community has performed at Philadelphia church in Portland at every Sunday service, along with other events, since the church opened about 30 years ago. The choir is comprised of about 100 people - men and women and youth of all ages, consisting of the original soprano, alto, tenor, and bass voices. Everyone shares the same interest of making music and spending time together in this process. The role of each member is to learn music, train, and rehearse for the task of performing for the Sunday services and also other events that come up during the year. - Set the mood of worship service. - Perform on piano and/or keyboards by being a regular member of the church, choir and different musical groups. - Accompany the choir and attend rehearsals every Friday evening for 2 hours. - Be available on an occasional basis to accompany soloists or vocal ensembles. - Provide a qualified substitute for any services or choir performances for which the Piano Accompanist/Assistant Worship Leader is unavailable. - Have the ability to take over leading worship and rehearsing the Worship Team when the Director of Worship and Music is absent. - Be on time for rehearsals and all events and services. - Be prepared for changes and be able to play music on the spot, whether it has been practiced or not. - Be available to play for any event and service and also be able to provide service music for normal and extra services. - Have the ability to work as a team player in cooperation with others. - Experience as a pianist/accompanist/worship leader in the church. - Have significant professional/formal music training. - Have the time and desire to be fully prepared for rehearsals and performances. - Have strong sight-reading skills. - Have the ability to demonstrate skill and musicianship on the piano. - Have an understanding of music in the context of worship. - Have a strong organizational and time management skill. - Have the ability to meet the attendance standards and work the hours necessary to prepare and perform the music. ​- Maintain a generally positive attitude. My main identity for most of my life has been that of a pianist. In church and at school I was called on to be the one who played the piano to support the Sunday church services, church choir, different musical groups, instrumentalists, or the visiting soloist. 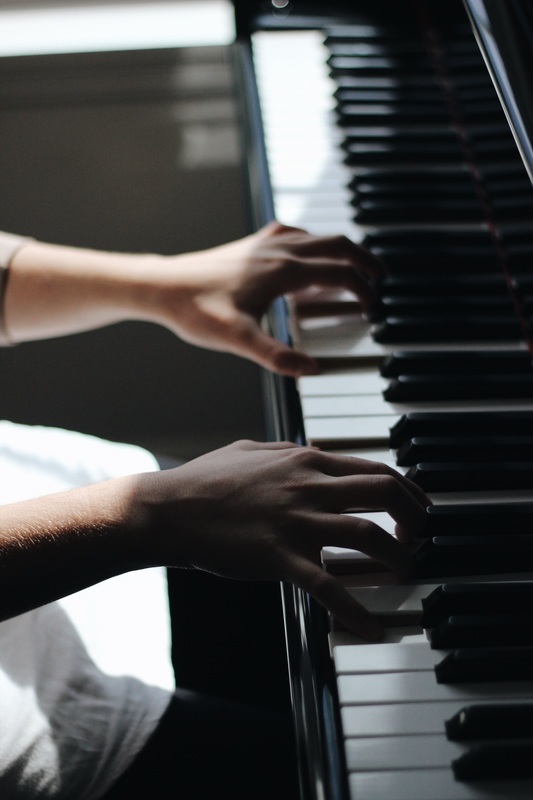 Being the church choir accompanist and pianist is an important role because you are heavily relied on as the main instrument and support from all musicians. I aim to be a positive example to those around me, to provide the best quality of work I hold, and wish to impact at least one individual's life in the audience. I think; What will make their hearts sing? What will bring comfort? What will make them smile? What thread or stream will take them to a source of comfort or healing? So far my experience with the choir has been a success. There have been and will always be struggles and strong points, but even through the weaknesses you learn to pull through and get past whatever obstacle there is, whether it be from human contact or from the music itself. There is always work to be done at every rehearsal in preparation for each Sunday service along with other events. Music is a must for any program or event that exists, and a pianist is usually always needed everywhere. My heart feels full and am grateful to be able to share my gift and passion with others, along with inspire and be inspired by others. Connecting with others through the love of music and what we believe in is beyond comprehension, and it is something truly wonderful.